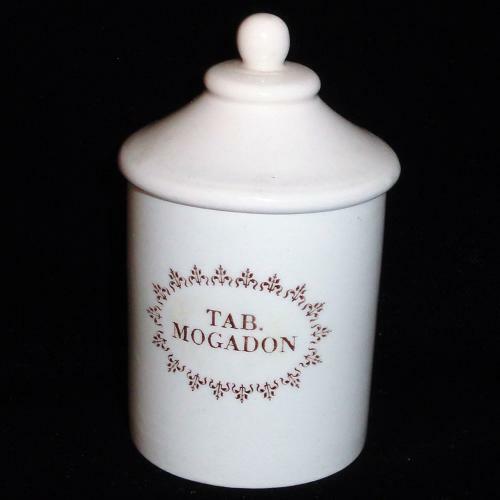 This medicine pot measures 3 1/4 inches tall x 1 3/4 inches tall. Mogadon or Nitrazepam is a hypnotic drug of the benzodiazepine class used for short-term relief from severe, disabling anxiety and insomnia. The medicine pot is in great condition.